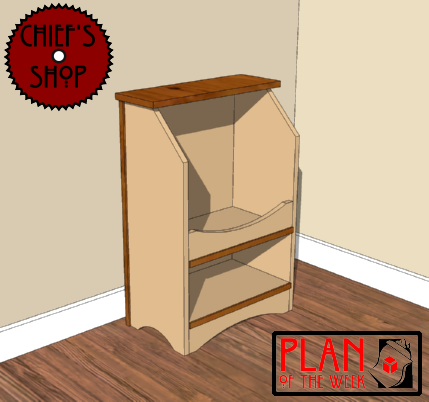 The Chief’s Shop Ready For School Stand can be used alongside the Ready For School Bench in a foyer, mudroom, or garage as a staging area for preparing to leave for school, or heading off to the bus stop. A backpack or messenger bag can fit on the top shelf, and athletic shoes can fit on the bottom shelf. You’ll need a table saw or circular saw, miter saw, jig saw, drill driver, and Kreg Jig.